Arab Resource and Organizing Center | One year ago, we made history. 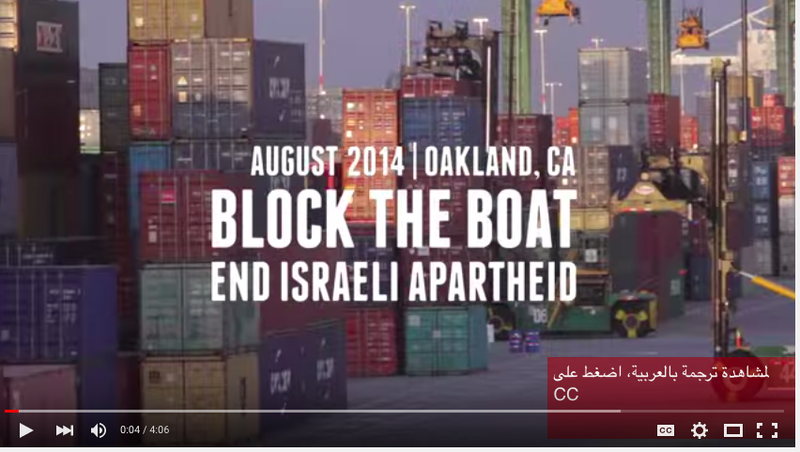 One year ago the Bay Area made history by blocking the largest Israeli shipping line from docking at the port of Oakland. When the entire world was taking to the streets against Israeli Apartheid and the war on Gaza, so too were thousands in the streets of San Francisco. People from all across Northern California stood shoulder to shoulder to march in the spirit of justice, liberation and self-determination. Then on August 16th, we put those convictions into action with the Block the Boat coalition – AROC along with over 70 immigrant rights, anti-war, abolitionist, queer, economic and racial justice organizations, and numerous individuals – set on stopping the largest Israeli shipping line, the Zim ship, at the Port of Oakland. 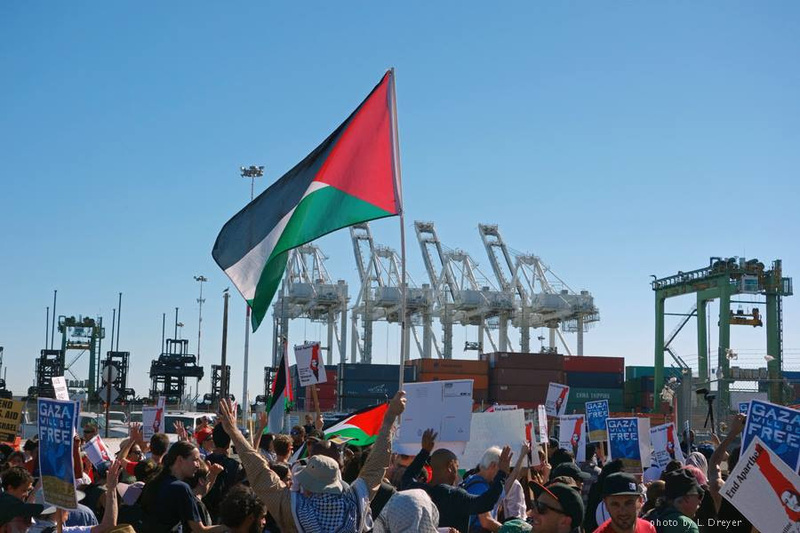 We mobilized en masse with a remarkable show of solidarity between ILWU Local 10 rank-and-file and our community, building on the radical legacy of the longshoremen, the South African anti-Apartheid struggle, and Arab solidarity with workers in the Bay Area. We made history by ultimately stopping the Zim shipfrom docking at the Port of Oakland indefinitely. The workers honored picket lines by refusing to unload the ship in August, September and October – and the Israeli Zim ship hasn’t returned since. We accomplished this victory by centering Arab leadership, building on worker solidarity and committing to long term cross movement building. We organized in coordination with actions in Vancouver, NY, Tampa, Long Beach, Seattle and Tacoma. And together we achieved one of the most successful Boycott, Divest and Sanction victories in history by making a political, cultural and economic impact on the Apartheid State of Israel. The BDS movement is growing as people are recognizing that Israeli occupation of Palestine is linked to repression worldwide. The relationship of Israel to the policing and repression of Black and Brown communities has been exposed, and the connections between movements for self-determination from the streets of Oakland, Baltimore and Ferguson to the movements in Haiti, the Philippines and Palestine are deepening. Alongside all our people struggling here and in our homelands, we remain committed to rising up against policing, war and militarism. As we commemorate the Block the Boat victory, we ask you to join AROC in the Stop the Urban Shield coalition to continue to rise up against repression for the sake of our dignity and liberation. And be sure to take a few minutes to watch this Block the Boat video documenting the resilience, commitment and power of the people in standing up against state violence.